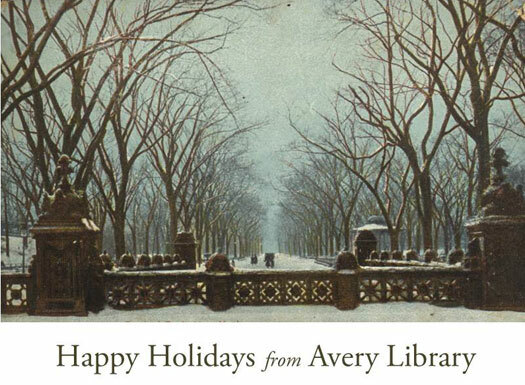 Avery Library will close at 5pm on Friday Dec. 28. Click here for our Holiday hours. We are pleased to present the newest feature of our website– the Avery Store. Please check it out! Your purchases help support Avery purchases and programs. This entry was posted in Avery Store on December 7, 2012 by Ted.